Energy and Resources Minister Judith Collins has announced funding for 15 projects to increase charging facilities for electric vehicles and switch more trucks, buses and vans to electric power. Nearly $1 million has been allocated to EV charging infrastructure on key tourism routes including Christchurch to Picton, Dunedin to Queenstown, and Queenstown to Invercargill. In addition, street charging is being installed for Wellington residents who don’t have a driveway or garage, as well as chargers that give buses a boost as they stop for passengers. Projects from the first round of funding are now underway with some charging stations already in public use, Green Cabs offering free EV taxi rides and seven Foodstuffs supermarkets delivering groceries in the community in electric vans. The third round of funding, providing a further $3 million, is now open. Applicants have until Wednesday 27 September 2017 to submit their proposals to the Energy Efficiency and Conservation Authority (EECA). 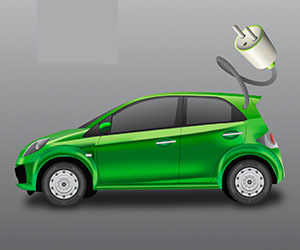 While the first two rounds of the fund were about high visibility projects to help EVs gain traction among the public, the next round will seek to support projects that can be replicated across the country and that support practical, sustainable ways to increase uptake particularly in the light fleet market, close gaps in charging infrastructure and demonstrate the uses of heavy electric vehicles across the economy. The fund will offer up to 50 per cent funding towards projects. Applicants must match or exceed the amounts granted.